UPDATED: First official trailer released! It'll be Supergirl versus Bruce Wayne on Monday nights starting in November. 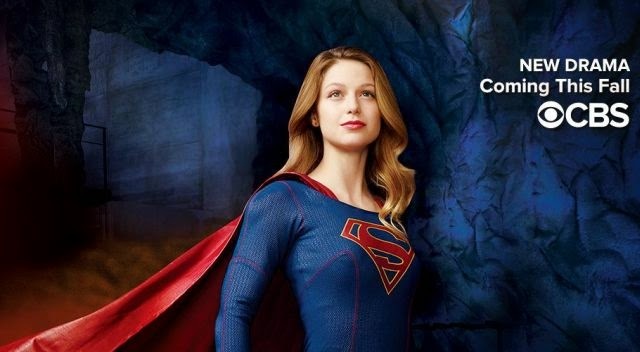 CBS revealed its fall schedule and they've placed their first superhero show since the '90s, Supergirl, against another DC Comics-based show on Fox, Gotham. They'll share the 8 p.m. time slot but will they divide the fanbase? 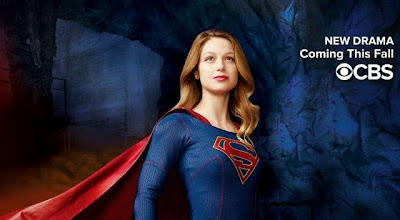 Melissa Benoist stars as Kara Zor-El, who lands to earth as a child leaving the destruction of her planet Krypton behind, and grows up keeping her powers in check but realizes at age 24 to embrace them and help people. 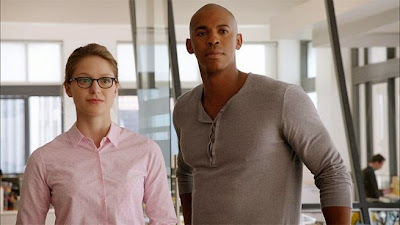 The cast includes Mehcad Brooks as James Olsen, Laura Benanti as Alura Zor-El, Calista Flockhart as Cat Grant, Chyler Leigh as Alexandra “Alex” Danvers, Jeremy Jordan as Winslow “Winn” Schott, David Harewood as Hank Henshaw and Dean Cain and Helen Slater as the Danvers. It'll be interesting to see how this move affects Gotham, whose had solid ratings in its rookie season despite middling reviews. Supergirl is a potential juggernaut since it comes from Berlanti Productions who've made Arrow and The Flash hits for the CW. With that type of pedigree, a powerful female lead and the audience reach of the #1 broadcast network, Supergirl could deal the Fox Batman-prequel a serious blow. Check out the synopsis and two newly released images. Greg Berlanti (“The Flash,” “Arrow”), Ali Adler, Sarah Schecter and Andrew Kreisberg are executive producers for Berlanti Productions in association with Warner Bros. Television. The pilot was directed by Glen Winter (“Arrow”).